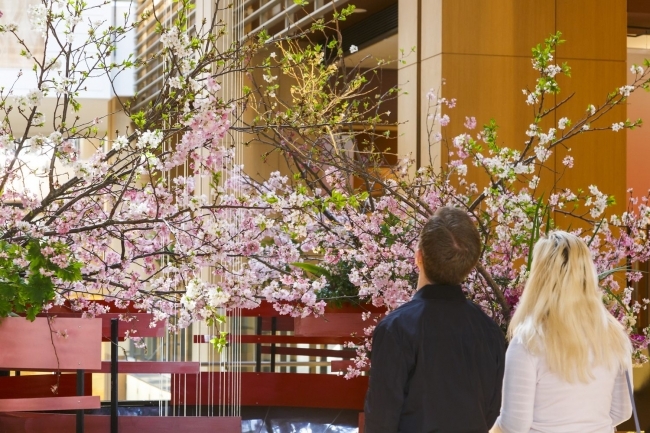 Tokyo Midtown in Roppongi is beckoning the spring once again this year with MIDTOWN BLOSSOM 2019 which is set to run from March 15 to April 14. This will be the 12th time this event has taken place which is held to celebrate springtime. The annual event brings in many people every year to one of Tokyo’s many famous cherry blossom sites. 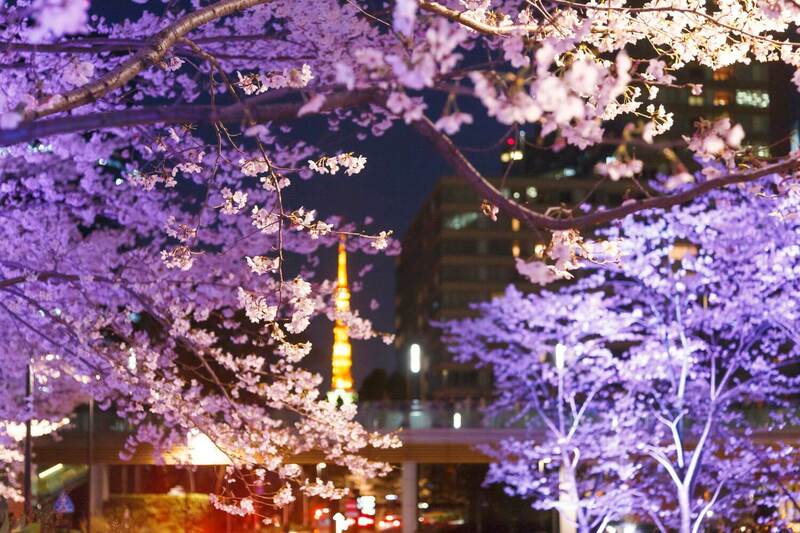 Much is planned for this year’s event as the 200 meter long street Sakura-dori will be decked out with outdoor lounges and illuminated cherry blossom trees. The spring vibe will be felt both indoors and outdoors too with a range of beautiful decorations. The 200 meter row of cherry blossom trees line the garden area of Tokyo Midtown. In the daytime their pink hues can be looked at from down below inside the building while at night the trees will be lit up, calling you to stand and gaze from underneath them. The illuminations will take place during the full bloom of the cherry blossoms. Before the full bloom however pink coloured lights can be enjoyed earlier during the evening for people to get a feel of what’s to come when the blossoms bloom. When they do come out, the lights will switch to white to create a magical scene. 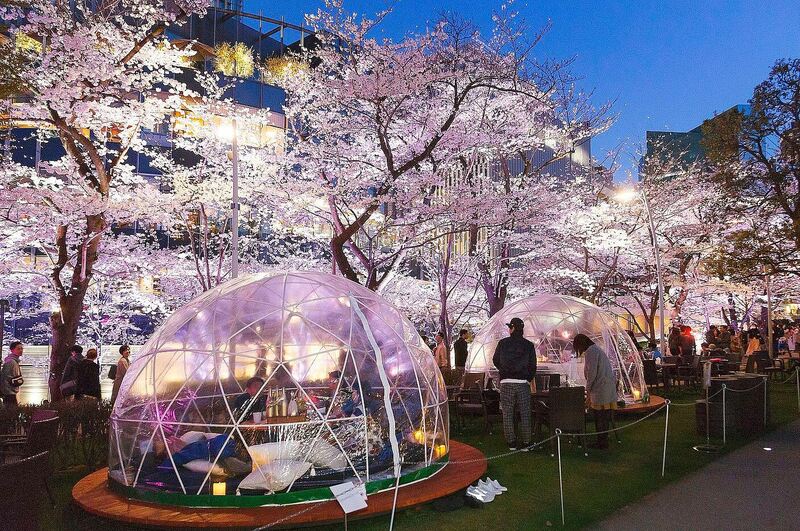 The row of trees can even be enjoyed from some of the restaurants in Tokyo Midtown, so why not enjoy a romantic dinner while gazing down at Japan’s cherry blossoms? Enjoy luxurious and sophisticated service carried out by the staff at The Ritz-Carlton Tokyo with the Blossom Lounge. This experience is taking place once again in collaboration the premium sparkling wine brand Chandon. A special menu has also been prepared exclusively for MIDTOWN BLOSSOM. The fantastic food and striking desserts were chosen by The Ritz-Carlton Tokyo’s Chef de Cuisine William Khala. Enjoy a glass of rosé in the outdoor lounges or warm yourself in the Chandon Suite, the popular tent area returning from last year. *Open until 21:00 on Fridays, Saturdays and during the full bloom of the cherry blossoms. Last Orders: 20:30. There are still cold days leftover during this season and so a vivid display of flower art is being prepared to ring in the springtime warmth. Enjoy a range of striking artwork inside the warm building with pieces also by the past winner of the Flower Art Awards. Basks in the sights of the nighttime cherry blossoms as the spring sunshine dims and turns to evening. Directly connected to Exit 8 at Roppongi Station via the Toei Oedo Line. Directly connected to Roppongi Station via the Hibiya Line. 3-minutes on foot from Exit 3 of Nogizaka Station via the Chiyoda Line. 10-minutes on foot from Exit 1 of Roppongi-itchōme Station via the Tokyo Metro Namboku Line.